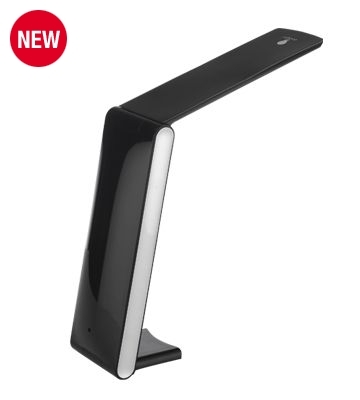 The LED Foldi™ Lamp features 30 eye-popping Daylight LEDs to give you comfortable glare-free full-spectrum light. 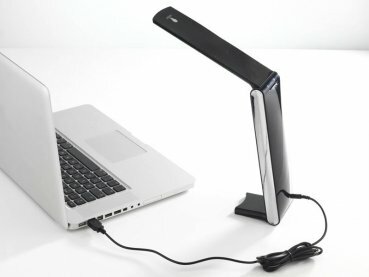 Foldi™ will give up to 8 hours of bright white light on batteries (3X AA) and unlimited light once USB connected to your laptop, making it the ideal travel & office lamp. With its slim design and smooth lines, the LED Foldi™ Lamp truly is the finest portable designer lamp. When connected via USB-cable to your computer or laptop in battery holder is switched off to protect stanard batteries from overcharging. Automatically switches off when closed.